I consent to Guyson collecting my personal data* in order to provide the services I have requested from them. * See Privacy Notice. 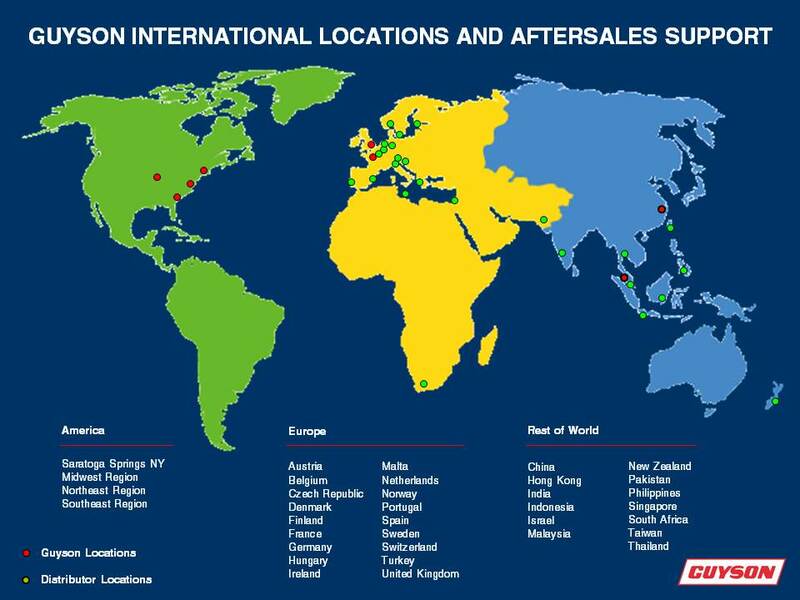 For details of our Blast and Wash divisions distributors and agents, please click the map (above) for general locations. Please note, if you require instant assistance we recommend contacting one of our offices directly by phone. However if your enquiry is not urgent please feel free to email us and we will respond to your enquiry promptly. You will find below full contact details for Guyson sites worldwide.